For many students, the Wellesley experience begins not during orientation, but when they attend a Summer Send-Off party hosted by an alumnae club. These events give incoming students and their parents the chance to learn more about the College and to receive a warm welcome into the Wellesley family. "The send-offs are popular because they're a fun way for alumnae to connect with students," said Leah Driska Lee '08, assistant director of clubs. 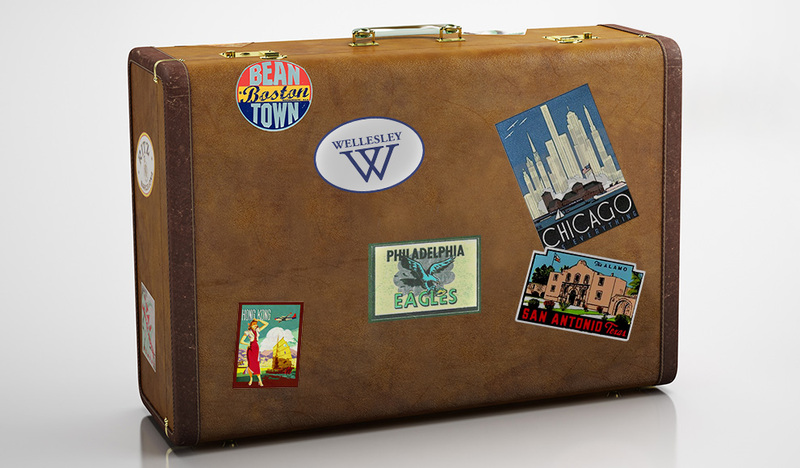 "They're also a chance for incoming first-years to meet each other before they get to campus, so when they do arrive at Wellesley they will already know a friendly face or two from home." Earlier this month, alumnae in 22 cities—including Hong Kong and Honolulu—held Send-Offs, which are produced in partnership with the Alumnae Association and the Parent and Family Office. "These events are a great way for incoming students to learn about all of the resources that will be available to them, and to hear from their predecessors that 'this is why you’ve made a great choice picking Wellesley,'" said Elizabeth Scholl, director of parent and family giving. "Parents love that reassurance, and being part of their daughters' new journey." At the Berkeley, California, event, several recent alums held an informal Q&A session where they talked about their own experiences relating to a range of topics, including everything from sports and international studies at the College to how to dress for winter weather. "That kind of support and feedback is invaluable," said Laura St. Germain Adamczyk '87, director of parent and family programs, who sends each host club "Wellesley swag," including balloons, buttons, name tags, napkins. The festivities are as diverse and unique as the clubs themselves. In Boston, for example, the chapter hosted an afternoon iced tea reception at the home of one alumna and played Wellesley Bingo. The Hawaii group threw a pool and pupu party by Honolulu’s Waialae Beach, with appetizers that included teriyaki meatballs, saimin noodles, wrapped chicken with rice, and plantation iced tea. Both events drew recent alums, current and incoming students, and high-schoolers who wanted to learn more about the College. The Hawaii club also welcomed the renowned astrophysicist Andrea Dupree '60, who had flown to Honolulu to speak at the International Astronomical Union. Dupree encouraged and advised a current astronomy major, and was so impressed by the attendees that she raved in an email, "Yesterday was a delightful time! Wellesley alums are a great, interesting, exciting, and active group of women... and the younger generation may be even better!" Willajeanne McLean '77, a former board member of the Wellesley College Alumnae Association, agrees. She attended the Hartford Send-Off, which also celebrated local graduates from the class of '15 and high schoolers who had won the chapter’s book awards for outstanding academic performance. "Attending Wellesley was one of the best decisions I have ever made, and incoming students will soon discover what it means to be embraced by Wellesley’s worldwide web," she said. "You don’t just spend four years here. You are part of a sisterhood, and that community lasts for life."